One of my all-time favorite parts of traveling is experiencing the local café culture and brewed coffee in each new place that I visit. For us coffee aficionados, a quality caffeinated brew is a must-have when travelling; whether a short road-trip to the next state over or a month-long journey to explore continents on the other side of the world. While I enjoy discovering various blends and roasts of coffee-based beverages, my favorite part of experiencing coffee culture is the unique chance to observe the daily routines and customs of the locals and momentarily become part of it all. Coffee lovers often become regulars once they stumble upon a quaint café or bond with a barista. You can normally spot the best place to get your java by judging the long line behind the busy coffee counter, the casual familiarity between the baristas and their local customers, and of course the earthy, wafting aroma of freshly ground beans and well-prepared espresso. Each European country has a spin on local coffee culture- read on to choose which one you’re most excited to try for yourself! 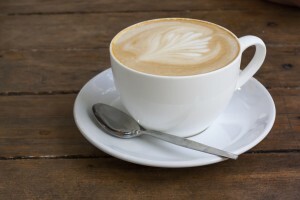 Italy: It is custom in Italy to only drink coffee with milk in the morning, it is usually avoided after a meal. Italians normally order a coffee at the bar and drink it while standing, rather than sitting down and socializing while sipping. Definitely give the Italian coffee experience a go: Italy has the largest number of coffee bars per capita! What to order: Try a macchiato, which is 1 part espresso with a small amount of frothed milk on top. France: Blend in with the French by forgoing a takeaway coffee (walking around with a paper cup is not the cultural norm) and enjoy your beverage standing at the bar or sitting at a table (take note that table service does cost more!). In the morning, order a croissant or day-old baguette to dip into your cup. What to order: Time to practice your French-speaking skills! See how you like a ‘un café au lait,’ or, if you prefer your normal filtered brew from home, ask for ‘un café américain’. England: Tea houses and pubs are all the rage in England, putting coffee cafés in the background here. However, you can thank all of the Australian and New Zealander expats who have settled into the Motherland and brought with them the type of coffee culture found in their native lands. Head to “Flat White,” a stylish and very affordable Australian/New Zealand owned café located in the creative, artsy neighborhood of Old Soho. What to order: Have a flat white (my personal favorite), which is the café’s namesake. A flat white is comprised of a shot of espresso, steamed milk, and topped with a very thin layer of foam. If your barista is skilled at foam art, you’ll have a pretty little white fern leaf skimming the top of your cup to Instagram to your jealous friends back at home. This entry was posted on Thursday, June 5th, 2014	at 5:54 pm	. You can follow any responses to this entry through the RSS 2.0	feed. Both comments and pings are currently closed.